If you’ve recently moved to the area, or you need to find a provider who is in your insurance plan’s network, finding a dentist in The Village of Cross Keys who meets your family’s needs can be a daunting task. First, determine what type of care your household requires. General or family dentists are listed as Doctors of Dental Surgery (DDS) or Doctors of Dental Medicine (DMD). Specialists such as endodontists and pediatric dentists may be listed under a different heading in phone or online directories. When you have narrowed your list of local dentists in The Village of Cross Keys to the ones who meet your criteria, it’s time to ask a few questions. Plan to interview each prospective dentist by phone or in person to determine who the best candidates are. Ask about the dentist’s experience, education, and credentials—particularly if you need specialized types of dental care such as cosmetic or pediatric dentistry. Find out how long the dentist has been treating patients. 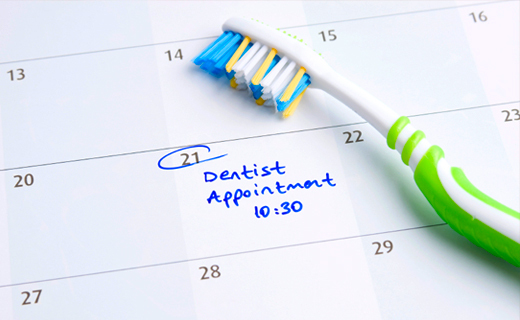 Determine how the dentist handles after-hours and weekend emergencies. Find out how the dentist refers patients when the work required exceeds his or her capabilities. Before making a commitment to a particular dentist, explore the available treatment options and procedures that would solve your dental problem, and compare what treatments are offered by different dentists. Ask the dentist if they participate in continuing education. Ask the dentist if dental lasers or other advanced technologies are utilized at the practice. If you are seeking cosmetic procedures like veneers or professional whitening, ask your dentist for before-and-after photos of work on previous patients. Determine the costs of any treatments and procedures you may need; anesthesia and facility fees may be billed separately. Ask about payment options for out-of-pocket expenses. Talk with the clinic’s staff. Choosing a dentist with a friendly, knowledgeable staff will improve your quality of care.